Our existence is for a reason and for a purpose, to do good, to help and to be of use to others. One should not forget any helping hand that renderd help to you at some point of time. We always get the help we ask for. Knock and the door will open Make sure it's the right door. Please guard my pieces while I am making it whole again. An eye for eye can surely make the whole world blind, but a hand to someone in need can make the whole world a better place to live. Give a bowl of rice to a man and you will feed him for a day. Teach him how to grow his own rice and you will save his life. 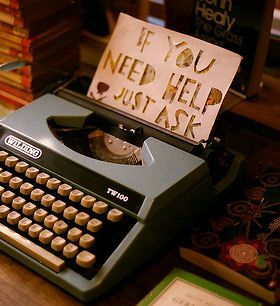 Help is providing assistance to others in order to achieve something. Help will be greatly appreciated and reciprocated especially, if it is offered in times of need. We are all brethren of the same community that is human community and it is our duty to help one another not only in times of crisis but also otherwise. If you help others, it gives you a sense of satisfaction, and a fulfillment that no other pleasure can give you. One famous saying goes thus,” once we decide to help others, we should do it with the right hand even before our left hand is aware of it “. Any postponement in helping may change your mind and hence it is better to do it instantly. Pope John Paul VI says, “Nothing makes one feel as strong as a call for help “. We lose nothing by helping others. 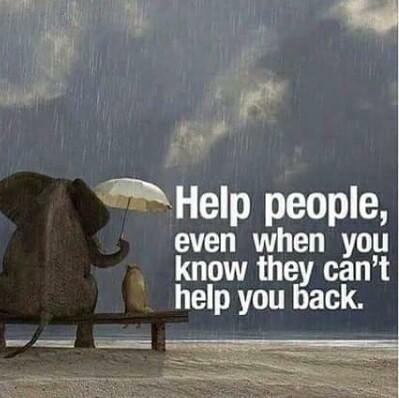 So, let us lend a helping hand especially for those who grab our help.